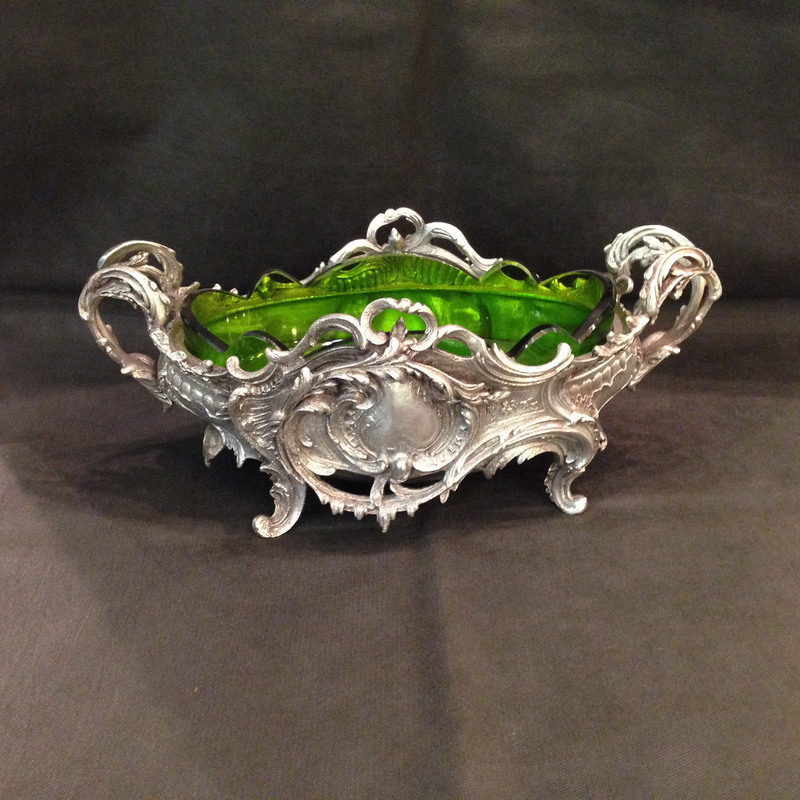 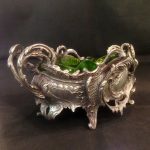 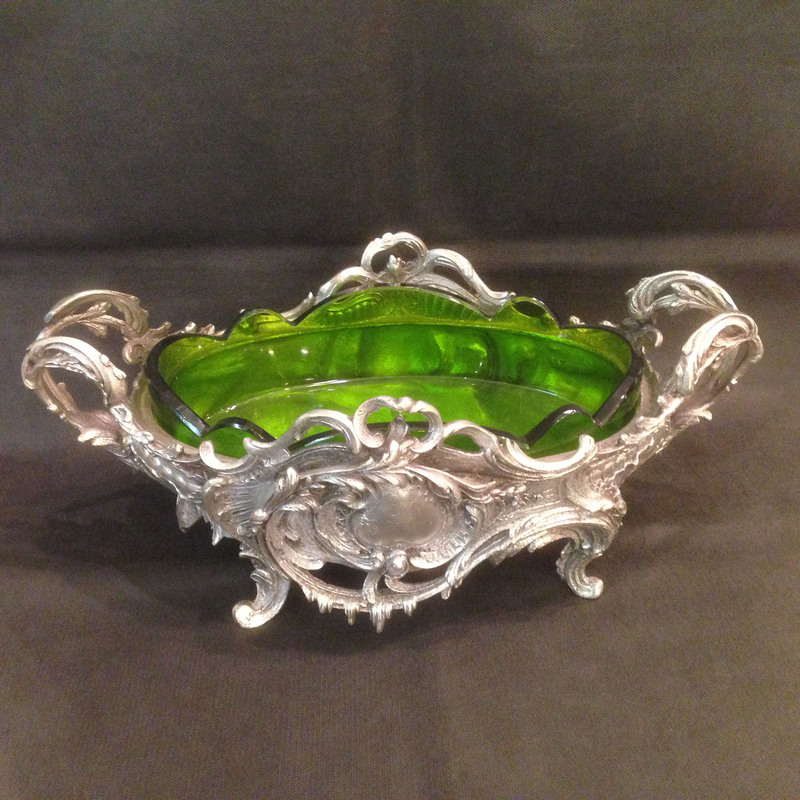 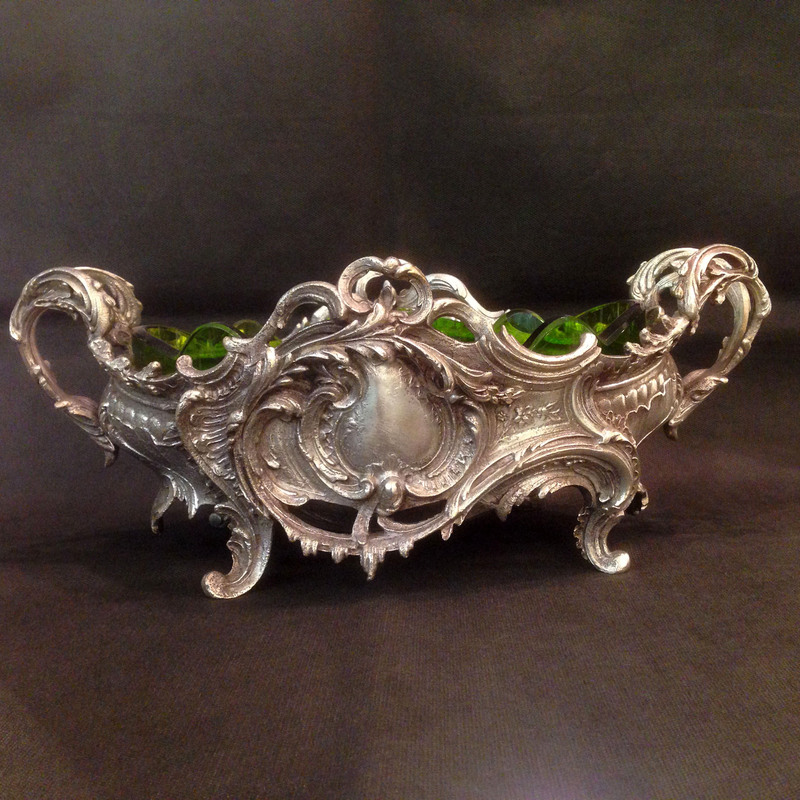 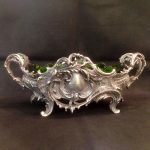 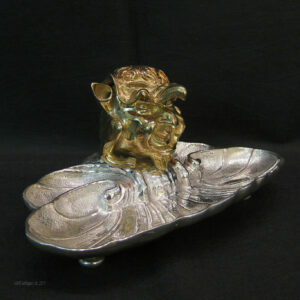 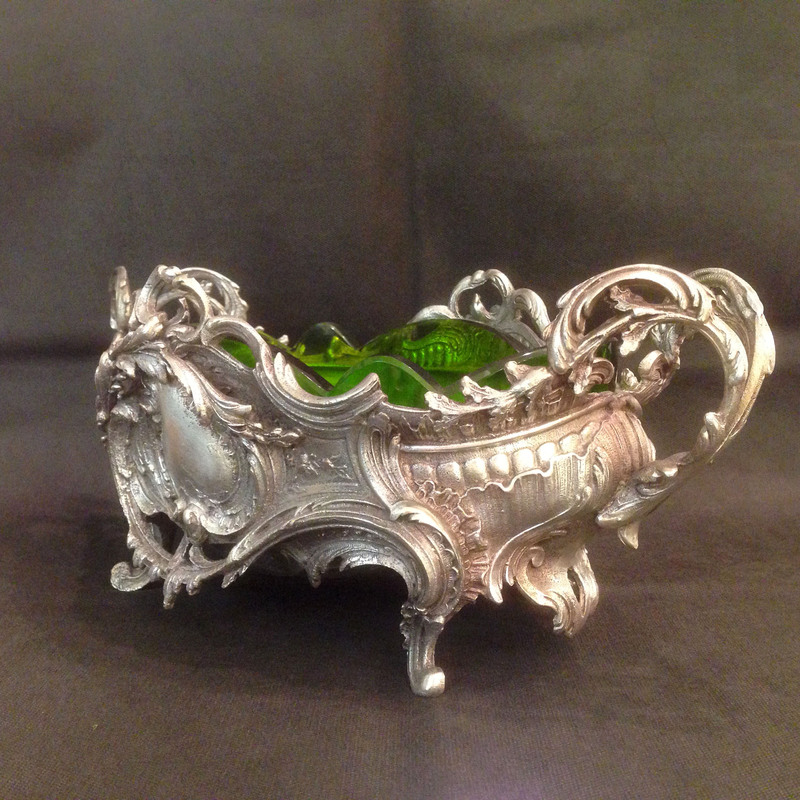 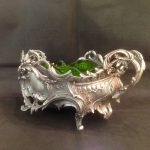 An elegant silver plated French jardinière/fruit dish with a lime green glass liner. 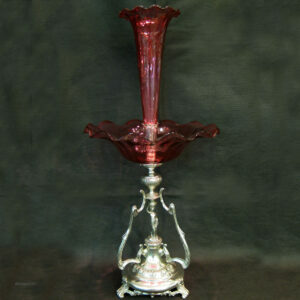 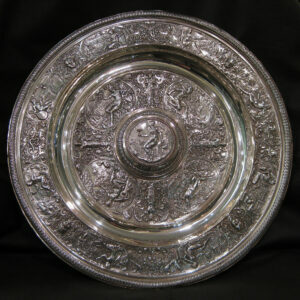 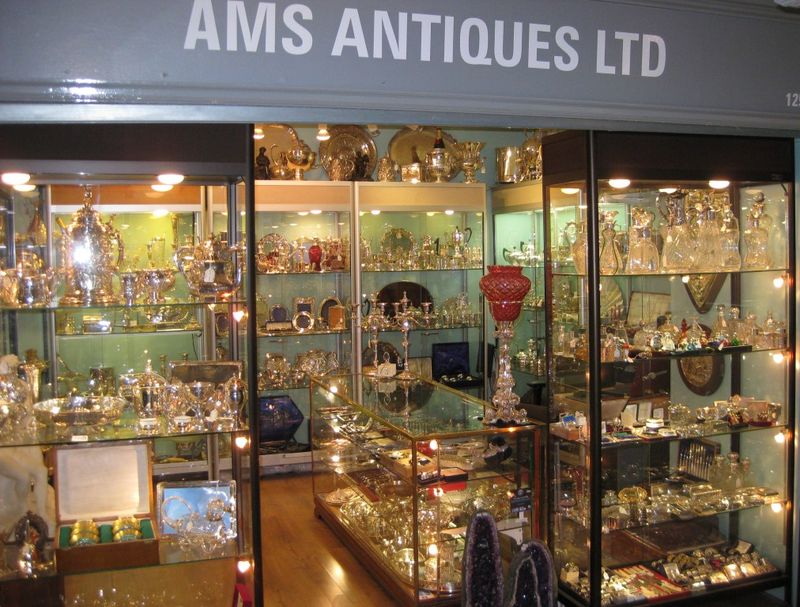 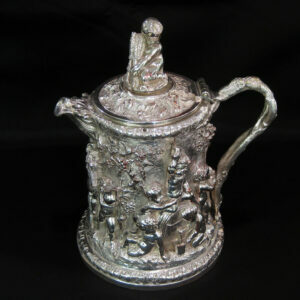 Measures 31cm wide 16cm high and 22cm deep. (front to back).